Kieran Tierney has been watched by Premier League clubs this season. Kieran Tierney could be a "hell of a player" at Manchester United, Sky Sports Scottish football expert and former Celtic team-mate Kris Commons believes. 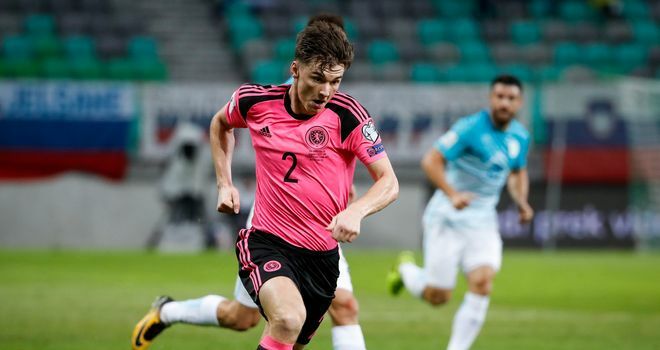 The Scotland left-back has been watched by a string of Premier League clubs and Commons says he is being touted as a potential newcomer at either United or Arsenal this summer. Commons insists that if Tierney can transfer his confident nature to any of these clubs then he could prove a smash-hit in England's top flight and become Scotland's next captain. Tierney is a candidate to be the next Scotland captain, according to Commons. "Kieran has been touted as the next Manchester United or Arsenal left-back," Commons said. "But I just wonder if he can take the same confidence, bordering on arrogance - that whole 'I'm Mr Celtic' thing - into a dressing room with Paul Pogba, Romelu Lukaku, Alexis Sanchez and David de Gea. Are you going to take that in there? 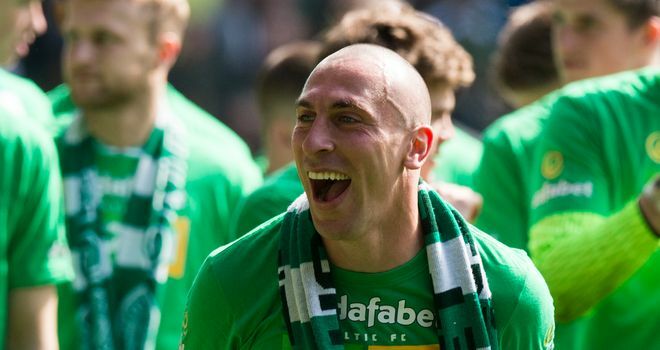 "If he can, then his attitude will be contagious, it will spread throughout the team, just like it does with Scott Brown. If Kieran can be that guy then not only will the fans relate to him the way they do in Glasgow, but he'll be a hell of a player as well. "He'll have an impact on the field, but also on the stadium and, when the crowd responds in that manner, performance levels go through the roof. If Kieran can do that for a big club there will be no stopping him. Scott Brown's influence at Celtic has been infectious, says Kris Commons. "As a left-back, he's improved dramatically since I saw him break through as a teenager. Don't forget he broke his leg twice after breaking into the first team. "Kieran's been linked with all of the top clubs in England and he's just grown and grown and grown. His strength and his rapport with the supporters has propelled him not only into Celtic's starting XI but also into the category of Scotland's next captain, which is remarkable for someone so young. "Scott Brown is the pinnacle of captains for me, in terms of dominating games and dictating the tempo of them. (But) Kieran is certainly a candidate at a time when there isn't an obvious, outstanding individual."